Hi there lovelies! For those of you who might have missed it from past posts, I’m a wedding planner- and today I want to talk about the different services that planners offer, and how to choose what will suit you. I know that not all of you will choose to hire a wedding planner, but I do know that there are many times when a bride is thinking about hiring a planner, but they aren’t quite sure where to start or even what hiring a planner would “look” like. 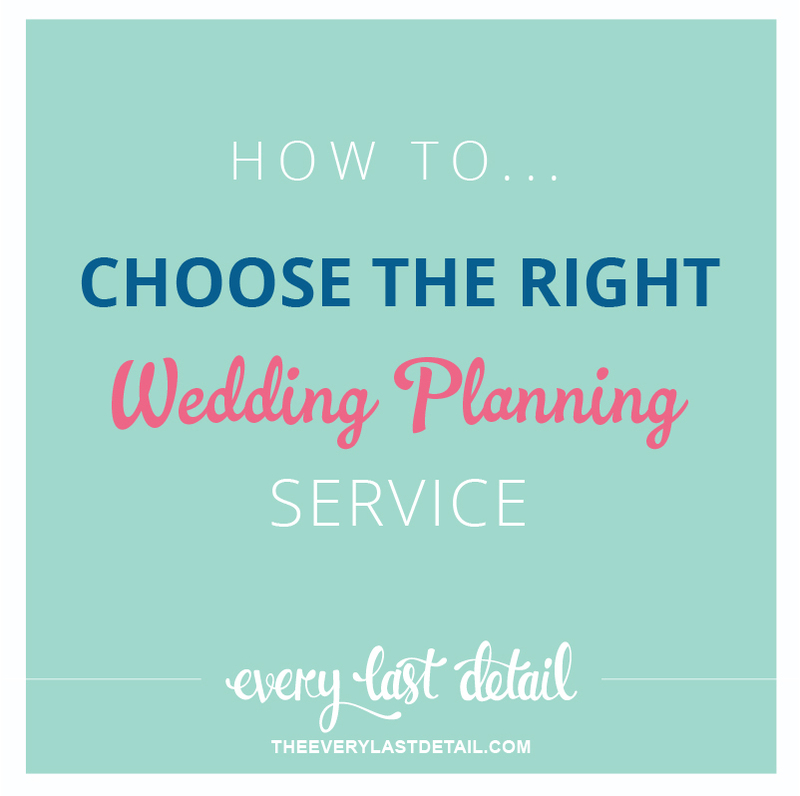 So I thought it might be helpful to break down the common planning services so that you can determine which will be the best fit for you and your wedding. I often get emails asking about my “cheapest” or “typical” planning options, both of which are really difficult questions to answer. The thing about wedding planning is that there really isn’t a “one size fits all” option. Each wedding is different (as it should be) and each bride has unique needs from her planner. Often times, brides think they are looking for one thing but are actually needing something totally different, or they choose a basic level and end up wishing they had more help. What I love about ELD is that it aims to educate so those things don’t happen to you! Looking at the following break down will hopefully give you some insight into what working with a planner can mean for you. Day-of coordination (aka Month-of Coordination) is the most basic level of planning service, and also the least expensive. This is for the bride who has all of the ins and outs of planning under control but would like to relinquish that control into a professional’s hands on the actual wedding day. If your wedding is designed, vendors are booked, and timelines are finalized, and all you need is someone to step in to make sure everything runs smoothly while you’re enjoying your wedding day, then this is a good option for you. This service level is also called “month-of coordination” by some planners due to the fact that communication and coordination typically start a month out from the wedding day. [You can read more about why here.] However, regardless if your planner has the label month-of or day-of, keep in mind that this option is for maintaining responsibilities on your wedding day rather than assisting you through the whole planning process. If you’ve started planning but need someone to come in, meet you at the point you’re at, and work with you all the way through wedding day execution, partial planning is what you are looking for. For example, you might have found and booked your venue and photographer, but now you need help taking care of all of the additional factors (i.e. other vendors, seating arrangements, timelines, flowers, etc.). In these situations, a partial planning option has your planner pick up where you left off and work with you to tackle the remaining planning elements- as well as coordinate and execute everything on your wedding day. Partial planning is the perfect option if you have started planning on your own, but realized that you needed help with everything else! If you want someone with you from the minute that ring slips on your finger, helping you with every step of the planning process, then you are looking for full planning. Full planning encompasses everything from start to finish. Often times this includes design,venue selection, and booking vendors, all the way through execution (Note: not all planners offer design services, but many do). Full planning is a great option for those who want to allow their planner to focus on each of the details while they focus on enjoying their engagement. While planning and coordination services can differ from planner to planner, the three levels listed above can typically be found with most planners. Planning services are meant to be tailored to your wedding and your specific needs, so talking about those needs with your planner (or potential planner) is really your best option. Hopefully, this break down has given you some idea of where to start! Want to learn more about wedding planners? Click here! Find ELD Approved Wedding Planners Here! Kelly Hancock is the owner of Kelly Hancock Event Planning. As an organization and detail junkie turned bride turned event planner, she has a passion for love stories and adores taking care of the "little things" so brides can savor every moment of their engagement and wedding day. Originally from New Orleans, you can currently find Kelly in St. Petersburg, FL with her husband of four years, running Kelly Hancock Event Planning. What a great post! I find a lot of my brides just simply don’t know where to start to getting it all laid out is so helpful! This is wonderfully done! I love the way it will puts a bride & groom at ease. I, myself, love to help couples understand that wedding planning services are there to meet their needs and help them make their wedding day go “just as they planned it”. Thank you! Wonderful article and tips. All the bride and groom should read this. Frequently i receive a call for wedding planning but the bride and groom them self are not clear what exactly they want. Brilliant insight and very helpful advice from a bride who has been there!